Hi! Thank you very much for stopping by, and welcome. Inside this site you’ll find a variety of music. I front two main projects and provide several music services. Whether you are looking for music for an event, private or corporate, formal or informal, or you’re an artist booking live performances or recording sessions, I know I can help you fulfill your needs or reach your goals. I am a guitarrist, singer-songwriter, and violinist trained in jazz and classical music, with more than twenty years of experience in many styles, including swing, jazz fusion, classic rock, alternative, metal, pop (melodic and top 40), R&B, dixieland, lindy-hop, Cuban salsa, son, boleros, bachata, reggaeton, mariachi, chamber music, symphonic repertoire, baroque, and others. 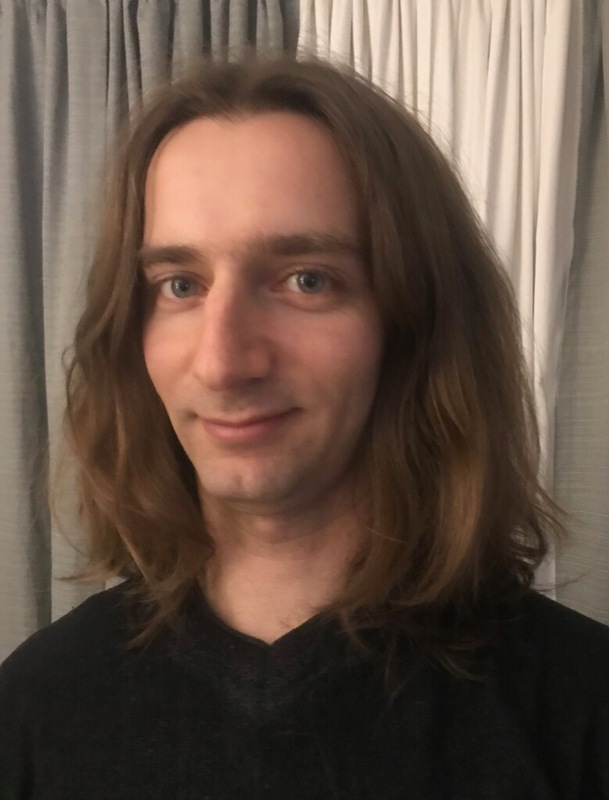 I am also a music educator, provide music for weddings and events (including children shows), and I have performed in Broadway-style production shows. I hope you have time to browse freely and that here you’ll find what you’re looking for. If you have any questions, please don’t hesitate to send me a message via the contact form. As a final note, I wish you’ll have an enjoyable experience through this website, which has been designed, coded, and maintained entirely by myself, yours truly, Omar Haddad. Make yourself at home! Sit back, relax and enjoy the show. THIS is my original music project, the rock band playing my songs, and I call it “THIS” because music is best experienced for what it is and can’t be put in words. So when I play I want to forget everything I “know” and just play. I want to encourage the audience to have this experience as listeners too, and that’s what the name “THIS” is there to do. Please note: The band’s name is transitioning from THIS to THUS. While the material is being updated, you might see at times one name and at times another. Either way, we hope you keep on enjoying it! Thank you for your patience and for following. As a solo guitarist, I improvise three-part arrangements of jazz standards, playing bass lines, chords, and melodies at the same time. In solo guitar playing, every part of an arrangement—melody, chords, and bass—is meant to have its own character, so the piece sounds as if played by a trio or duo instead of a single, busy sounding instrument. Once the skills for chord-melody voicing have been mastered, this framework for solo guitar improvisation is driven by the intuitive mind, allowing for spontaneity and organic flow. I would like to mention that, like many others, I have been deeply moved and influenced by the late, great solo guitarist Ted Greene. You are welcome to read my post about him, “Ted Greene: The Legacy Lives On,” a review of his innovative solo performance technique and his contributions to jazz guitar and music education. You’re also welcome to read the positive mention of this essay by Greene’s own community of students and friends, and I have also recorded a rendition of a fantastic arrangement of “Danny Boy” by him from his 1977 Solo Guitar album, displayed here. This rendition has also been published on Ted Greene’s website, where it’s been commented on by the community, and you can watch it there too. I hope you enjoy it. In February of 2014 I was very fortunate to meet producer and radio host Lamon Fenner as he was watching a public solo jazz guitar performance of mine. Lamon was very friendly and generous, and he invited me to be in WHCR 90.3 FM, “The Voice of Harlem” for his radio show, “Lamon’s Jazz Break at 8,” where I was lucky to have the opportunity to talk about this project and my influences in it, including Ted Greene. The interview is available right below. I hope you enjoy it! It is interesting how, in solo guitar settings, performance training in jazz arrangements helps playing classical pieces, and viceversa, partly because sometimes the role of the bass is similar in both styles. As part of my solo project, I perform baroque works on electric guitar, mainly featuring lute pieces by Johann Sebastian Bach, such as the full suite BWV 996, part of which is displayed right here. I hope you like the sound of the electric guitar on 400 year old music! Exploring these combinations is always fun, and there’s always some rethinking of one’s own technique, or of the piece, or of both, to make a good adjustment between the instrument and the composition. In my essay “The Transcription Process in the Music of Johann Sebastian Bach” I explain this procedure in more detail. I hope you enjoy that too, and I would like to thank guitarist Oren Fader for his great help adapting the lute works to electric guitar. I regularly play guitar, violin, and sing in different projects led by different artists, ranging in styles from country/folk acoustic singer-songwriter to Rap and Hip Hop. Whether it is live performance or recording, it’s all about getting really into the music together, bringing out the soul in your sound, and making awesome tracks. Most recent work has been for Elizabeth McGovern and Ted Mason, Samuel J and Amma, The Hugging Saint of India, The Nancy Atlas Project featuring Chad Smith of the Red Hot Chili Pepper’s, and Black and Sparrow. I have also played music in New York City with rapper Crimdella, folk-rocker Zac Messick (of Bug Street), and actor/rapper Ralf Preciuos Gorgeous, for whom I was the musical director of the one-man theater play What Should Be the Fear? co-written by him and Jolie Tang. My experience also includes setting up music for events, from an impromptu violin serenade for a girlfriend at a balcony, to ensembles playing background music at a reception or cocktail hour, or a rock band playing your favorite songs at your wedding. Having gained professional experience with wedding bands and entertainment and touring agencies, such as Creations Music, The Glory Gospel Singers, and Glenn Miller Productions, I cater to your event bringing exactly what you need for your guests’ satisfaction. For samples of solo performances please see “The Art of Solo Guitar Improvisation” above. “With sounds that are born in jazz and fuse into the classical, progressive, and Latin realms, this ceremony is an invitation to rejoice in sound and surrender to the flow of music.”— Alejandro Do Carmo, on Film-Song, Buenos Aires, Argentina. 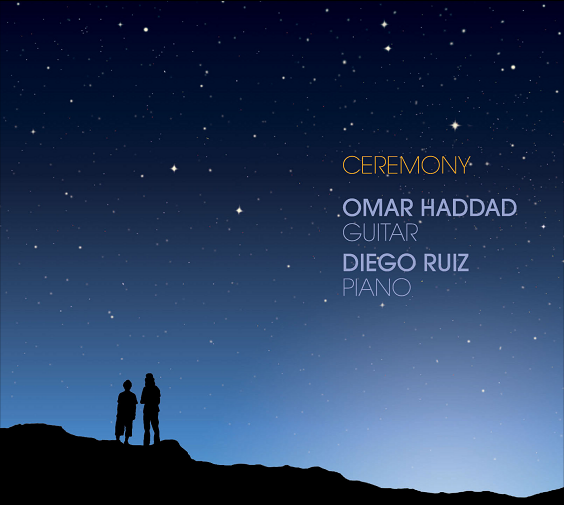 Ceremony is my debut album of original music, a project shared with pianist Diego Ruiz and recorded in Buenos Aires in 2007. Ceremony’s compositions are instrumental and follow the traditional jazz format, drawing elements from jazz, impressionism, rock, funk, Argentinean folklore, and contemporary music among other styles. Our goal for both Diego and I was to create an album with musical variety and space for improvisation, interaction, and collaborative work. We hope you enjoy it! I have taught private students in guitar since 1997, violin since 2003, voice since 2015, and I have coached jazz ensembles and rock bands. I have experience in several of NYC’s public schools and private music schools, including iSchool of Music and Art, where student recitals take place at Carneghie Hall and some of the most renowned NYC rock venues, like The Bitter End. A Comprehensive Course for the Guitar Apprentice is my own guitar method book. My goal was to design a curriculum with clear and definite steps to become a “well-rounded” guitar player but enough flexibility to organize guitar topics your way, so in each chapter I separate all major subjects such as melody, soloing, reading, chords, and others. This way you can move on to an advanced chapter to progress on a topic that is easy for you while staying on a beginner chapter for a difficult one, and you can also choose the subjects that interest you the most and switch them up as you practice. We all want to learn to have fun. While the book has some technique exercises, it mostly consists of lists of songs that get more difficult little by little. As each song has something new to be learned, you can combine practice and real music, and that way there is no separation between technique and expressivity. And whether or not these songs happen to be your favorite music (I hope you like at least some! ), once you understand this method it is very easy to apply it to the music you want. I hope it helps you and that you enjoy what’s in it as much as I enjoyed putting it together! I am also a musician for the children band Funkytown Playground, playing highly animated original songs in shows combining music and movement, an ideal setting for birthday parties and other occasions. The band also integrates its own songs with NYC’s school programs, making a kid’s learning process fun and entertaining. Besides music I also love acting, and I've had experience in it creating a secondary parallel career. I have been in film and television playing character roles, and I have done commercials and shoots too. You’re welcome to view footage demos and you may visit my actor page at IMDb.